Raaga.com: Watch 'Rustom' Trailer: Akshay Kumar proves it again! Watch 'Rustom' Trailer: Akshay Kumar proves it again! 'Airlift' actor Akshay Kumar proves it again and this time with 'Rustom' trailer. He recently shared the first trailer of 'Rustom' which has rightly proved that the Khiladi is back the most interesting and hidden story of all times. This movie 'Rustom' revolves around the story of a Naval Officer named KM Nanavati, who murdered his wife's lover Prem Ahuja and finally surrendered. Akshay will be playing Rustom Pavri the lead character, which killed his wife’s lover while beautiful Ileana D’Cruz will star as Akshay’s wife. This three-minute-long trailer left us with the most sensational case that unfolds in a mysterious way. This movie is directed by debutant Tinu Suresh Desai and written by Vipul K Rawal. 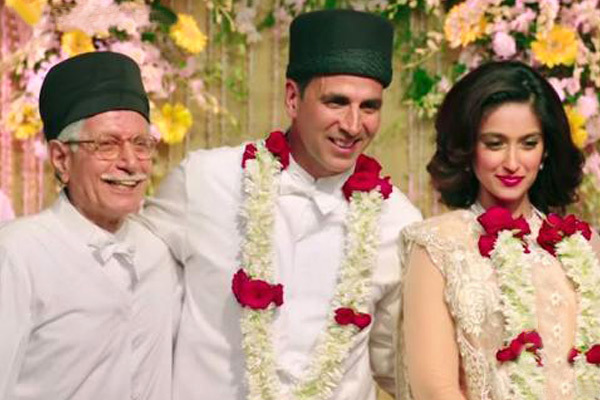 Movie 'Rustom' is all set to hit theatres on August 12. We also have a surprise attached with this, this trailer is likely to be released along with Salman Khan's Sultan.